In a non stick skillet add 1 tsp. of oil. Cool down the mixture for 5 minutes and olives to it. Now fill bell peppers with the mixture. Preheat the oven for ten minutes 350 degrees. 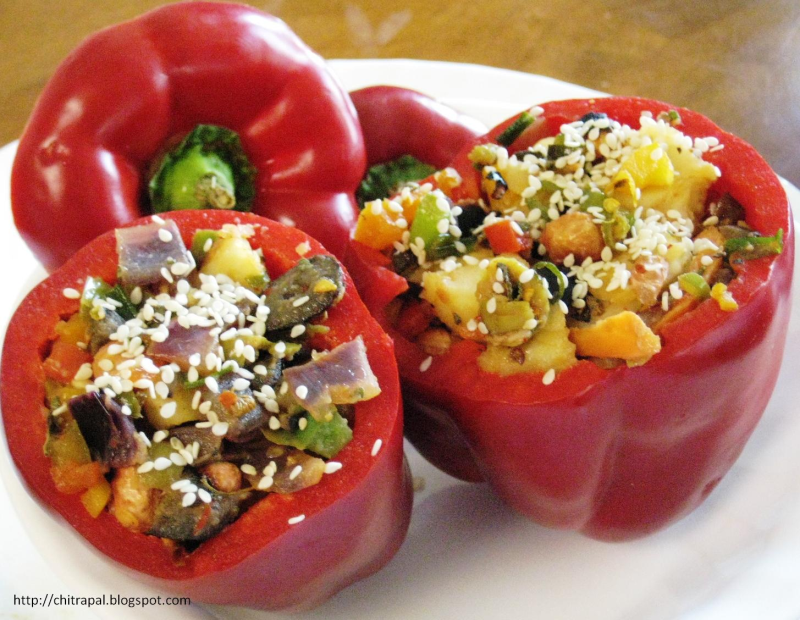 Now bake the bell peppers until they are little soft from outside light brown color from outside. Coat with sesame seeds and serve hot.